To that end, here are a few hacks to help you succeed without losing your sanity. It may seem easier to use a spreadsheet to manage inventory. You may think paper is your friend when it comes to putting together your weekly employee schedule. But there are some great restaurant business tools out there that can remove a sizeable amount of the time you waste on administrative tasks. Rather than manually calculating what a recipe costs to make, try out recipe costing software. Rather than staying for hours after you close once a week to do inventory, make it easier with inventory management software. 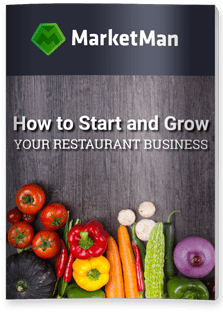 The point is: let these tools do the heavy lifting for you so you can focus on growing your restaurant. Smart restaurant business owners know every aspect of the business…but they’re not necessarily the ones running the show. Hiring a restaurant manager can have many perks: first of all, if you don’t have deep restaurant or management experience, hiring a manager who does can ensure that your business is run the way it should be run. It also frees you up from the daily admin tasks like inventory so you can focus on marketing your business or growing it. It can be hard to give up control, especially if you are Type A, but if you learn to trust the right people to do their jobs, you’ll see your restaurant run like a well-oiled machine. Patrons can tell the difference between a restaurant where the wait staff isn’t sure what today’s specials are or what beer is on tap and one where the staff can describe in detail what’s on special. Make sure yours is the latter by holding daily or weekly meetings, or even sharing a family meal. Let your staff (both front of house and back) try new dishes so they can make the recommendation to order it based on their own experience with the dish. Take their ideas and suggestions seriously. After all, your restaurant staff will interact with customers far more than you will, so make sure they feel like part of your restaurant family. Instagram is peppered with seemingly curated shots of plant walls, quirky artwork, and gorgeous food. It’s such an easy way to market your business…but you need Instagrammable moments. Consider where in your restaurant you can have an Instagram-worthy feature. Maybe you’ve got a ridiculous painting of a wolf in sheep’s clothing in the restroom. Or a patio that, when the sun hits just right, makes everyone look amazing. Encourage patrons to snap their photos and tag your restaurant so others can find it. Amplify their photos by sharing them on your own Instagram account. The restaurant business can be unrelenting if you let it be. But getting away from the business occasionally can actually make you a better business owner. When you have some distance from your daily responsibilities, you can often find solutions to problems or innovative ideas. So rather than slaving away for 60+ hours a week, make sure to take a few days off to recuperate. Running a restaurant business can be hugely rewarding, but you need to know every aspect of the business inside and out, even if you hire a manager to run things. Continually monitor which dishes are selling (and which aren’t) as well as your food costs to ensure that you keep profits where you want them to be.